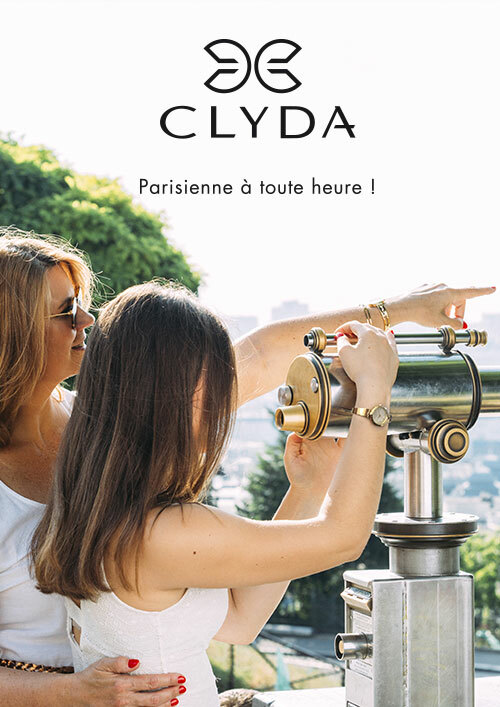 Clyda is a French brand established in Franche-Comté more than 40 years ago. The brand, dedicated to sophisticated, classy, stylish women, offers a collection of elegant, practical ladies’ watches that can be worn at all times. Each watch has its own style, whether it be modern, classic or a floral motif. Creative and sophisticated, the Clyda watch is an essential accessory to complement your outfits and diversify your look. The Clyda woman does not show her age; being a Clyda woman is simply a state of mind! Clyda, The expression of watch femininity… Clyda, fashion at anytime !